Soft and luxurious bedspread set. The Empire Reversible Microfiber Bedding Bed Set is an ideal choice for home owners who like to experiment with different looks. 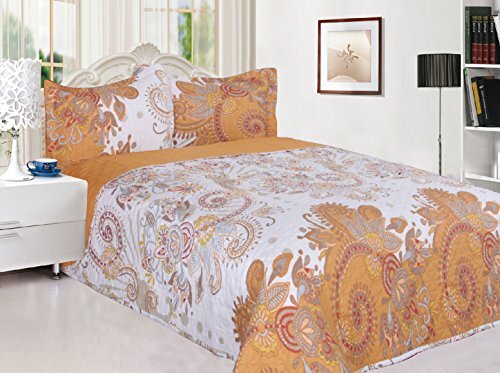 This bedding Quilt is reversible and has two equally attractive colors on both sides. Every time you get bored with a look, you can just flip it over. Made from polyester microfiber, it has polyester filling as well to ensure maximum comfort. Easy Clean, Machine Washable set. On the whole, this reversible bedspread Quilt is a perfect blend of style, comfort and durability. Set includes 1 comforter and 2 pillowcases.